Home News Views Top Gear Series 24 Episode 4 Review: The Chiron Is Here! 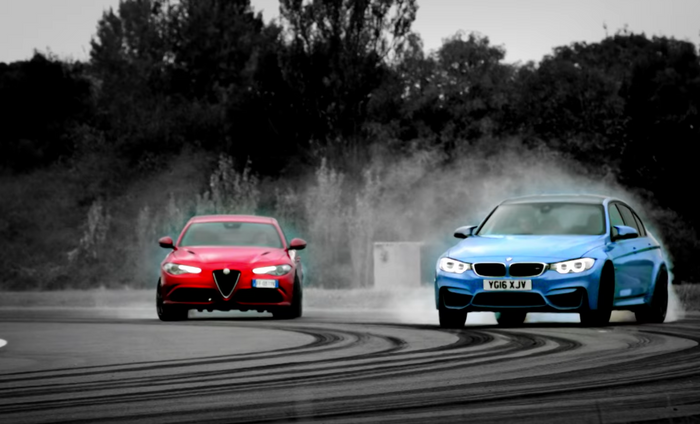 Top Gear Series 24 Episode 4 Review: The Chiron Is Here! The Bugatti Chiron has had a lot of buzz around it, and for good reason, but like many I’m yet to see it on screen. That was until tonight though, where it featured on Top Gear, not once, but twice. And if that wasn’t exciting enough, there was also the new Renault Twingo GT – yeah, you like that don’t you? I thought you would. 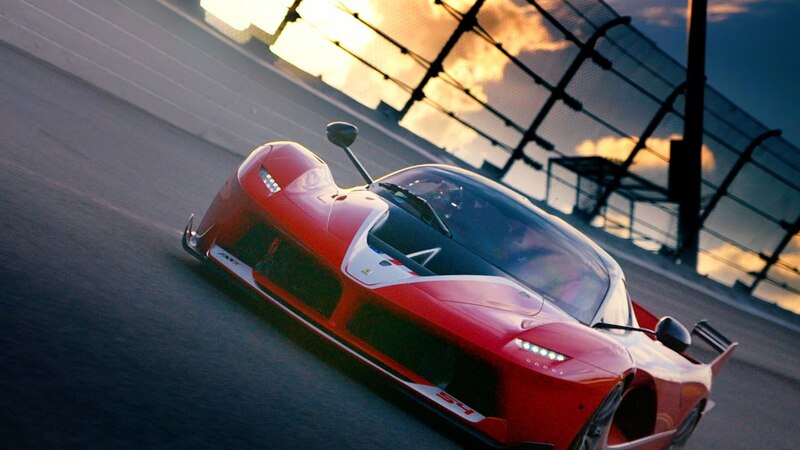 Let’s start off with the 1,500bhp hypercar shall we? Tonight’s show started off with a film that the motoring world has been dying to see. A review of the brand new Bugatti Chiron, the successor to the biblical Veyron. A car, which I think is a lot better looking too, as I never really thought the Veyron was particularly good looking. Imposing, yes – but not beautiful. Enough of that though, that’s the past, let’s focus on the present. Mind you, it seems like Bugatti is also stuck in the past somewhat. This is because it features virtually the same platform as the Veyron, meaning there is no hybrid wizardry similar to cars such as the McLaren P1, etc. However, the formula has been tweaked to push out no less 1,500bhp. Harris was keen to stress that the new model was more exciting to drive, and predictably he proved this by sliding this uber expensive car around a deserted airstrip in Middle East. That was after he had virtually scared himself to death by blasting down it at a speed of 236mph. There’s worst ways to spend a day I suppose! The sun may have been setting towards the end of the test, but his time in the new luxury hypercar was not over as he and the car would reunite later in the show. From a Tinie guest we go from a tiny car as Rory Reid tests the new Renault Twingo GT. He started by saying that he had been promised a sportscar with a rear engine and rear wheel drive, so naturally you’d expect a Porsche 911. Sorry Reid, it’s a small French hatchback. A mind-bending 108bhp is on offer in the citycar, meaning it will get to 60 in just under 10 seconds. I know, rapid right? Seeing as you can’t realistically test the car for its performance, Reid and the Top Gear dream up something a little more bespoke. 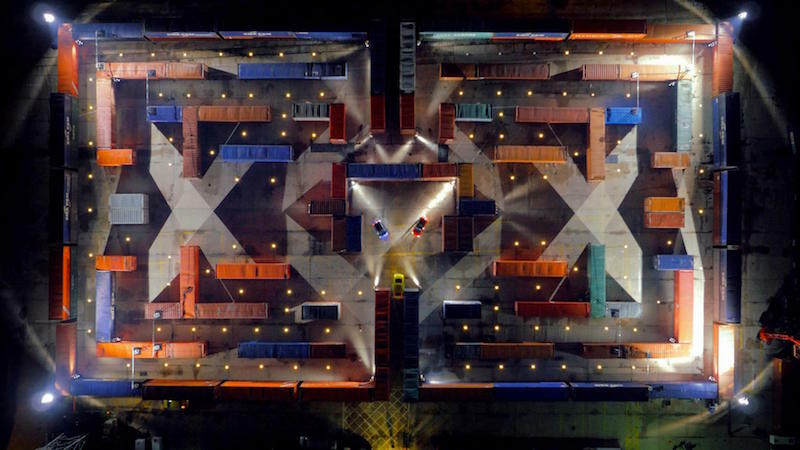 It involved quite a few shipping containers and a very famous arcade game in which a yellow character goes around a maze eating dots whilst trying not to be caught by ghosts. Wow, when you say it like that, Pacman sounds very trippy don’t it? Never mind that though, Reid had the job of ‘eating’ all the yellow dots whilst avoiding the ‘ghosts’ – a VW Up! driven by Chris Harris and a smart Brabus piloted by Sabine ‘she’s back again’ Schmitz. Reid’s advantage was ridiculously small turning circle of the Twingo, but his disadvantage was being outnumbered two to one. He did have three lives though, so was he able to do it? I’ll leave that for you to find out. The show closes Harris once again behind the wheel of the Bugatti Chiron in the Middle East. Only this time he’s joined by Matt LeBlanc to complete the ‘Billionaire’s Race’. The pair were to race from the UAE to Oman with Harris driving the Chiron and LeBlanc using other modes of transport. Oddly, the first of which was walking. Speaking of luxury motors, LeBlanc ditched the Riva to clamber in the back of a Bentley Mulsanne EWB with plenty of room to stretch his sea legs. He may have been comfortable as he was massaged intently by the armchair-like seats but he also hit traffic, allowing the 1,500 monster to gain an advantage. The Yank even admitted he had made a mistake, but no matter as his next mode of transport was a HondaJet. This got him back in the race although Harris was not out of it yet and had his foot down. That was until he hit the Oman border where he was forced to stop for some time so the Chiron could be re-registered whilst the border staff took several pictures for social media. Once LeBlanc landed it was time for him to get on his next mode of transport. That’s a lot of changes for one journey! As well as changing his mode of transport, he needed to change in to leathers as it was a Ducati something or other. 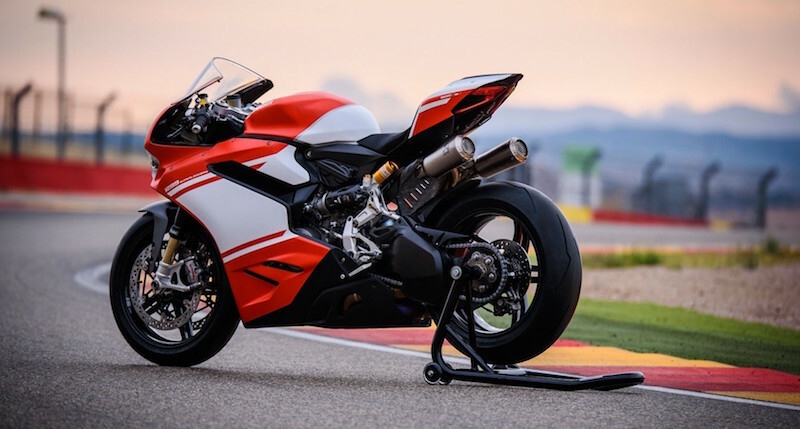 A 1299 Super…Oh what does it matter, this is Car Obsession! Ok, the motorbike is quick, it will hit 60 in 2.5 seconds, which must be…thought provoking. Was this kind of oomph enough to beat Harris’ Chiron though? You’ll have to watch and find out. Overall, it was a another decent show and it was fantastic to see the Chiron not once, but twice. The chemistry is definitely getting better as the week’s go on and I enjoyed the banter between Harris and LeBlanc in the last film. I did somehow feel that the race wasn’t quite as tense as the ones Clarkson, Hammond and May use to dream up – the end of them also seemed a bit frantic and fraught. I also like the fact that there are still sprinklings of Schmitz in the mix as well as I was hoping the BBC hadn’t ditched her completely. It looks as if she will be appearing before the series is over and done with, so that should be something to look forward to. I’m still not sure on the guest format though – it’s not as clunky, but it’s still not perfected.